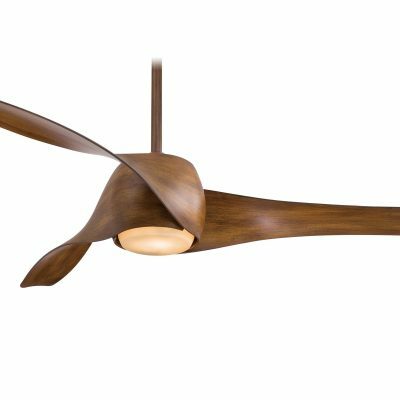 Minka Aire is a Californian brand who have designed fashionable lights for over 70 years and around 12 years ago they applied their design skills to ceiling fans with some beautiful results such as the incredible Artemis. The Artemis represents the best blend of form and function you can find where the blades are incorporated into and form part of the motor housing. Winner of the 2005 Chicago Atheneaum Museum of Architecture and Design’s good design award it is a true design statement. 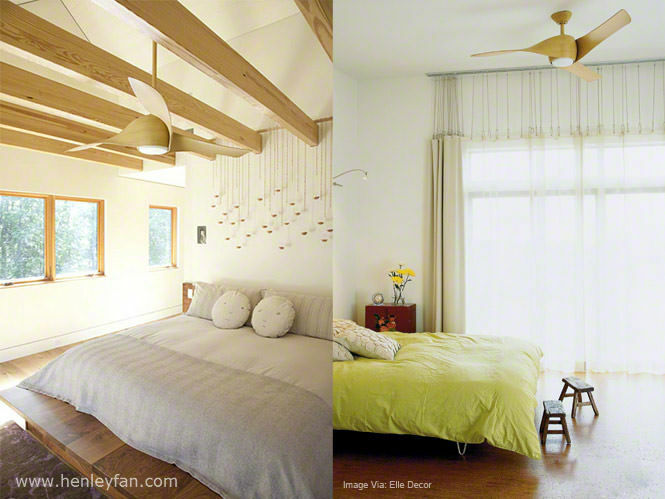 These ceiling fans are intended for large rooms and provide a unique point of interest. 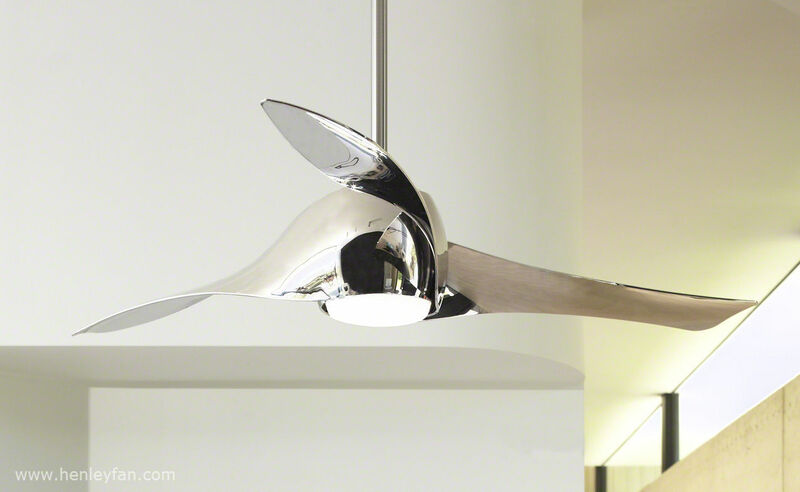 This fan was designed by the late, legendary lighting designer George Kovacs, who for 50 years set the standards with his vision for unique contemporary designs. 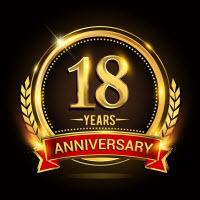 These fans are ideal for expensive up-market restaurants, bars, hotels and shops where you want to communicate thoughtfulness and make the customer feel special and taken care of. We stock the full range of finishes and it has become a very popular best selling fan.The finishes are black, dark koa wood, white, translucent and of course the truly amazing liquid nickel. 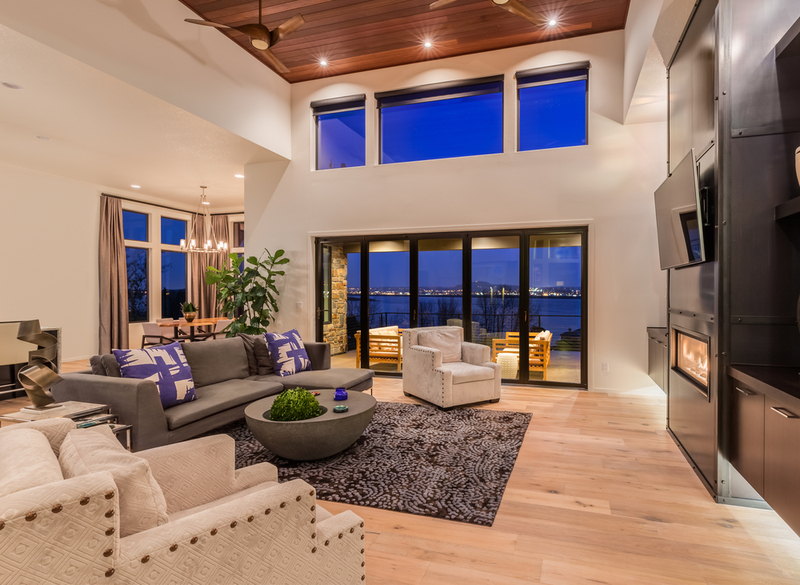 These come with a lifetime warranty on the motor and can be controlled by a wall control or by a remote control. 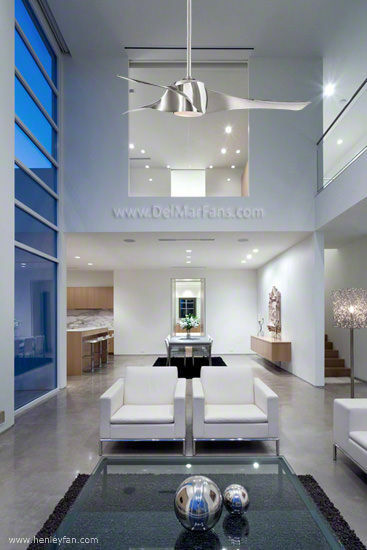 (Photo courtesy of our friends at Del Mar Designs). 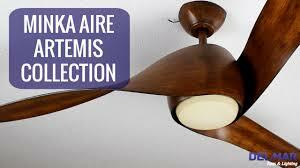 he Artemis fan can we deployed inside in virtually any room including bedrooms and quiet areas. 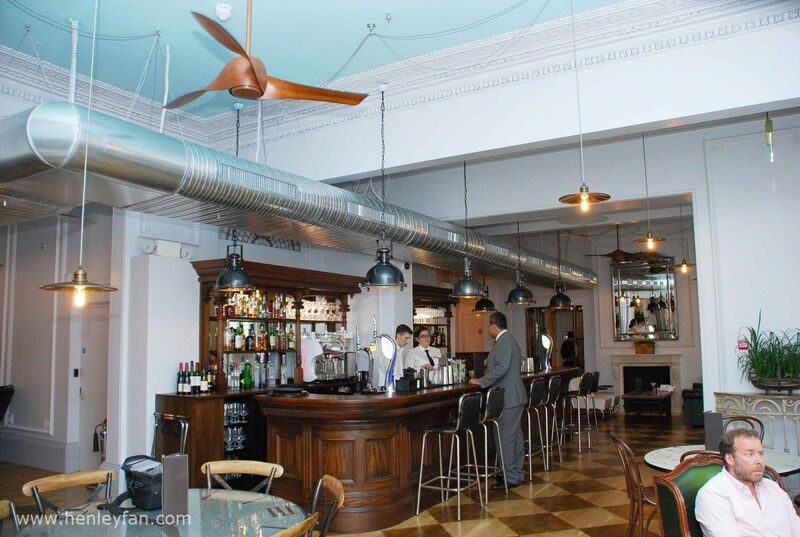 Since it is quite a large powerful fan it is best suited to large rooms and public areas such as bars, pubs, restaurants and hotels (like the Radisson Blu in South Kensington shown above) where its stunning design and finishes can be appreciated.